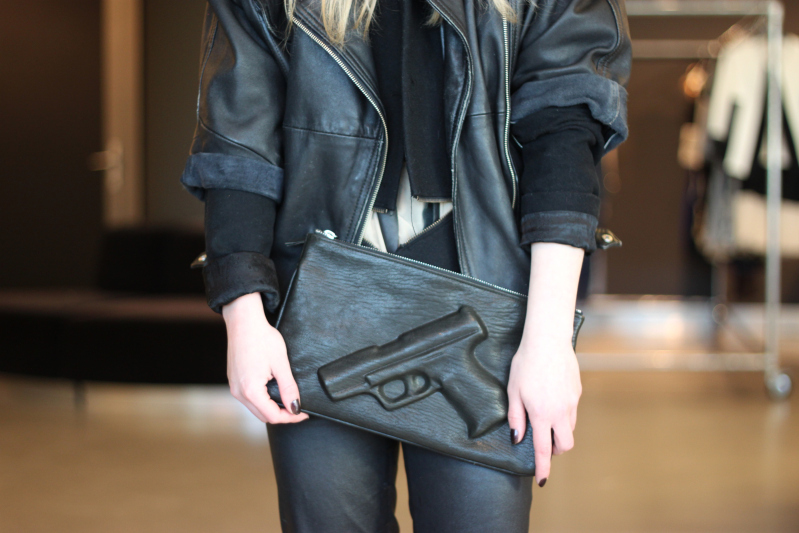 Style Notes | I'm not a die hard advocate for exploiting guns on handbags, or on any accessory for that matter. But these bags designed by Vlieger & Van Dam struck me as somewhat appealing. The single embedded gun-print raises the bar on a simple black clutch—to now—a bold statement piece in which the onlookers' perception is that girlfriend is not to be messed with. Bang! Bang! Superstar Rihanna seen (rt) carrying a Vlieger & Van Dam handbag. Oh, how it compliments her bad girl image!